Make dollars and cents of your money now so you build financial security for your future starting today. 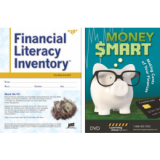 Money Smart DVD features financial and business professionals sharing their knowledge and insight into all aspects of money to impart to viewers what they need to know about their finances. Personal Finance will provide you with the seven steps designed to help you gain control of your financial future: dreaming, setting goals, financial planning, budgeting, saving, investing, and portfolio strategy review. 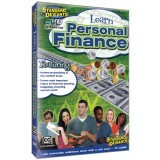 This DVD will teach you how to prioritize your financial goals and put your money to work for you. The eye popping world of Standard Deviants - Accounting Part 1: Learn all about accounting periods, income statements, owners equity, balance sheets and the accounting equation. 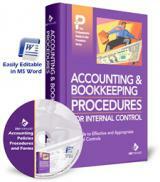 Accounting comes to life with these in-depth products! 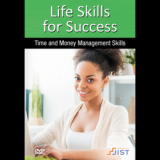 This video provides individuals with key concepts and practical advice they can use to better manage time and money. 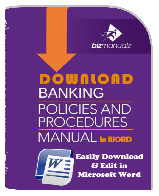 In this program, host Jeff Gardner spends the day with New Accounts Manager Gwen Timmons and gets some invaluable tips on managing checking and savings accounts along with the training and skills required in the banking industry. Learn how to Trade & how to manage your own portfolio of CryptoCurrency. An ideal practical course that teaches you where to buy, sell and trade Bitcoin. THE WILD AND WACKY WORLD OF FINANCE, PART 1 Recommended by university professors and teachers nationwide, The Standard Deviants - Finance Part 1 are the perfect resource for academic success. With videos ranging from English Composition to Organic Chemistry, The Standard Deviants� entertaining and enjoyable teaching style breaks down difficult subjects into a clear, step-by-step format. 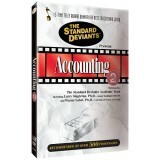 Recommended by university professors and teachers nationwide, The Standard Deviants - Finance Part 2 are the perfect resource for academic success. With videos ranging from English Composition to Organic Chemistry, The Standard Deviants' entertaining and enjoyable teaching style breaks down difficult subjects into a clear, step-by-step format. The Standard Deviants introduce you to the basics of accounting, including GAAP - the generally accepted accounting principles. You'll learn about owners? 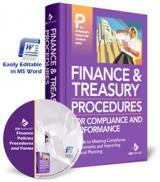 equity, the three types of business organizations, the five types of accounts, and three types of financial statements. Standard Deviants School is an educational and entertaining, lesson-based learning supplement based on the award-winning Standard Deviants teaching style. Each program includes full classroom performance rights. Standard Deviants School will capture your students� attention and make your lectures come alive! The Standard Deviants uncover the dark secrets of the double nature of accounting, and expose Stan's unique television network. There's also the hidden mysteries of double-entry accounting, the ledger, balancing accounts, and the general ledger. Bitcoin has made its presence known. After the initial hype and volatility, a number of unanswered questions remain. Susan Athey discusses the technological innovation behind Bitcoin and its broader applications, as well as crypto-currency’s potential impact on financial systems, industries—even world economies. The Standard Deviants show you the trusty trial balance, the gutsy T-account, the agile adjusting entry, diabolical depreciation, and receptive accounts receivable. Plus more fun with Stan and a special guest appearance by Corduroy Cal. Standard Deviants Productions brings you a show ripped from the headlines. That's right--the income statement! 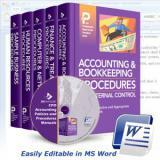 See why all the CPAs are raving about this magnificent accounting tool. You'll laugh, you'll cry, you'll balance your accounts. 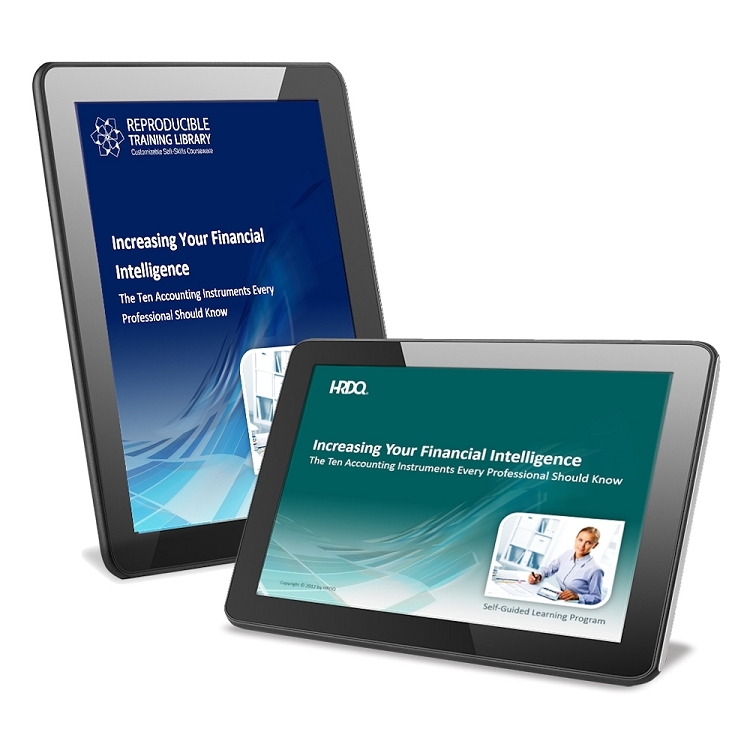 You'll learn how to prepare an income statement for a merchandising concern. Concerned? Don't be! The Standard Deviants know how to make this stuff easy to grasp. They'll drop by Greta's Imaginary Friends store and go through the entire process step-by-simple-step. Learn more about Greta's Imaginary Friends shop, spend some time with Melissa Makeover and Petty Cash, and drop by Al's Hot Dog Stand, home of the best Polish sausages in the world. You'll also learn some great techniques to keep those books balanced. The enforcement of global anti-bribery laws remains relentless as ever. In 2011, the Foreign Corrupt Practices Act (FCPA) accounted for $652 million in penalties. 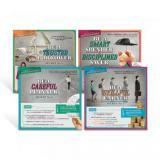 Discover the keys to good money management with the Secrets to Money Management Posters. Basic messages of planning, budgeting, borrowing, and investing are conveyed through clever photographic visuals. This poster set gives insight into the importance of being a skillful earner, a smart spender and disciplined saver, a trusted borrower, and a careful planner that encourages students learn to live within their means. Learn more than you ever wanted to know about Al and his hot dog stand. The Standard Deviants take you on a half-hour joy ride through the Polish sausage business, including inventory intricacies, LIFO, FIFO, current assets, cash, and how to get away with playing computer games at work. The Standard Deviants wrap up the accounting series with a spectacular look at checks outstanding, accounts receivable, non-collectable accounts, and notes receivable. They make it fun, thanks to their friends at Steve's Driving Service, Henrietta's Meaty Treats, and the gang at Rent-a-Revolution. The Standard Deviants show you why bonds are super investments. You'll learn all about coupons, par values, maturities, discounts, yields, and premiums. This program is all about cost. You'll learn cost of capital, cost of debt, cost of preferred stock and the cost of retained earnings. Find out what you and big-wig companies have in common. Here's a quick peek. Both you and companies worry about budgets and projects. But do you worry about them the same way.